Harvey Brindell is a storyteller who happens to play guitar and sing and loves the blues. Sometimes the stories are from his own life experiences and sometimes he shares the stories of others. He's lived in the northeast, southeast, midwest and currently the Pacific northwest. He's been playing professionally for the past thirty years. He played guitar in the legendary Honeyboy Turner Band, nominated two years in a row (2012 & 2013) for the Omaha Entertainment & Arts Award for Best Blues Band. Harvey travels the Pacific Northwest and the midwest playing at all the major blues venues, hundreds of small clubs, wineries, casinos, and festivals. He's played regularly at The Zoo Bar in Lincoln as well as all of the blues venues that have come and gone in Omaha. Harvey has also played and continues to have scheduled shows in Atlanta, Macon, Milledgevile, and Sandersville, Georgia. Harvey has played shows with Magic Slim & The Teardrops, Shawn Holt and The Teardrops, Bernard Allison, Mitch Kashmar, The 44s, Jimmy Thackery, Mike Zito, Smokin' Joe Kubik, Kilborn Alley Blues Band, JW Jones, Sean Chambers, Corey Stevens, Davina & The Vagabonds, Mighty Joe Young, Josh Hoyer & Soul Colassal, Kevin Selfe & The Tornados,and Deak Harp. Harvey Brindell & The Tablerockers recently toured as the back up band for Mitch Kashmar. His bands have also backed Chicago legends, Taildragger, Mary Lane and Rockin' Johnny Burgin when they were in his area and needed a back up band. Harvey recorded two CDs with The Honeyboy Turner Band, Preachin The Blues in 1994 and Billiard Playin' Mama in 2012. He wrote several songs that were included on each of those CDs. Both CDs sold well regionally. They are available for streaming or for purchase on the MERCHANDISE page of this website. One of Harv's songs, Blues For Omaha, was included on the Blues Society Of Omaha Compilation CD, Deeper Blue. Harvey's current band, Harvey Brindell & The Tablerockers, has been twice nominnated for Cascade Blues Association Muddy Awards. Ray Beltran, a harmonica player and vocalist formerly from California and now residing in Salem, OR has been playing and performing for nearly 30 years up and down the West Coast, from San Diego to Seattle. Ray has been a frontman or sideman in a number of bands in the blues genre, as well as occasional solo performances while playing both acoustic and amplified harmonica. A multiple-time invitee to the Seattle Superharp Showcase, Ray is known for his deep, rich full-bodied tone and smooth phrasing. Ray's versatility on the instrument allows him to seamlessly and sublty blend different styles and genres while still staying true to the blues. As a performer, Ray has had the opportunity to share the stage with James Harman, Kim Wilson, James Cotton, Mitch Kashmar, Kirk "Eli" Fletcher, Willie "Big Eyes" Smith, Rusty Zinn, Popa Chubby, Chris Cain, Kid Ramos, Roy Rogers and others. Ray's experience with harmonica has lead him to be invited as an instructor to the internationally recognized Jon Gindick Harmonica Jam Camp, teaching alongside Dennis Gruenling, Richard Sleigh, Kim Fields, Jimi Lee and others. 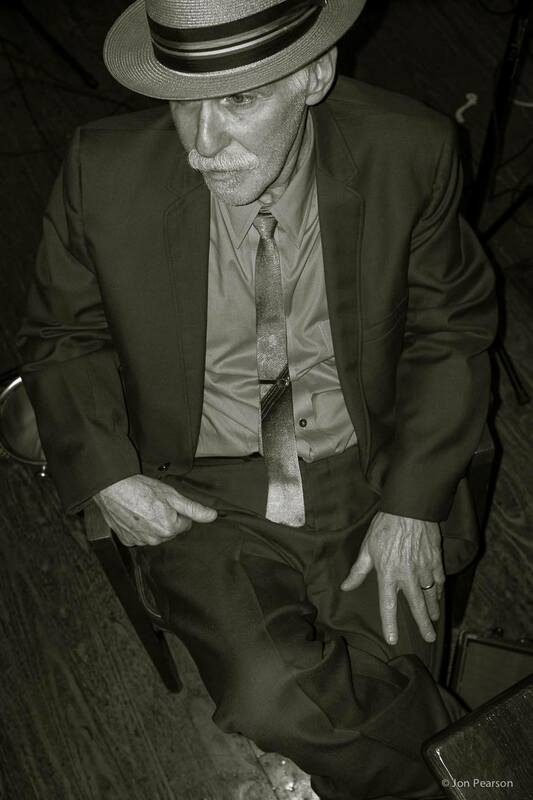 Richard Wilkins formed his Blues roots listening to Jimmy Reed while growing up in So Cal. Started playing bass guitar and tenor sax professionally in 1963 playing VFW halls and school dances. His early influences were Willie Dixon, Muddy Waters, and the Chicago Blues sound. After attending Monterey Pop Festival in 67', he joined the San Francisco music scene and then to NY in 69' recording for A & M Records and later for Columbia back in SF. While in NY he shared the stage with Eric Clapton, James Cotton, Muddy Waters, Buddy Miles, Jeff Beck, and John Bonham. Moving back to LA and the San Francisco area he played many venues and shared the stage with Rod Piazza, Johnny Winter, Boz Scaggs, and Lightning Hopkins. In 81' He took a break from full time performing and created his own plumbing business in the Laguna Beach area in So Cal. In 08' he and his wife Pam moved to Hood River, OR. where he formed the Richard Wilkins Blues Band. While playing in Hood River, Richard met and sat in with Kevin Selfe who explained how cool the Portland blues scene is. Recently, Richard moved to the Portland area and is enjoying playing around town. He has just recorded and released his own Blues CD titled "What a Life", after a lifetime of playing music. "The Portland music scene is such a vibrant and wonderful community to be a part of".